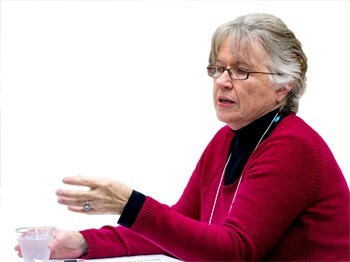 Mary Fund is Executive Director of the Kansas Rural Center, a non-profit research, education and advocacy group supporting a sustainable agriculture and food system. 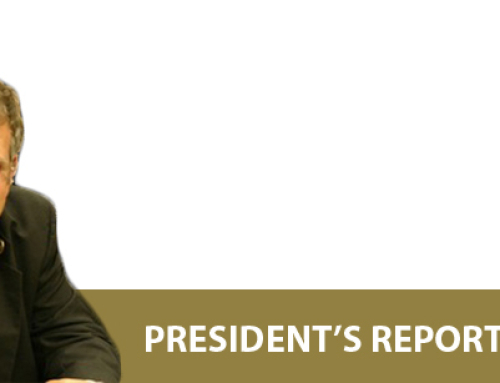 She edits KRC’s quarterly newsletter, Rural Papers, as well as KRC’s Weekly Policy Watch E-Updates during the Kansas legislative session. 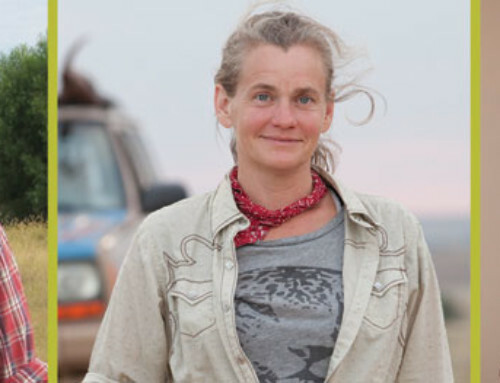 She is a member of Kansas Farmers Union, Kansas Organic Producers, and chair of the Organic Farming Research Foundation board. She and her husband Ed Reznicek own and operate a certified organic crop and livestock farm in Nemaha County. On the day after Labor Day (Sept. 5) Tyson Foods Inc. announced its plans to build a $320 million poultry complex near Tonganoxie, KS in Leavenworth County, northeast Kansas. The plant, which would be located adjacent to the highly populated urban area surrounding Kansas City, proposed to process 1.25 million chickens per week, and hire as many as 1600 employees. It would furthermore bring contract poultry production to an area where there was none before. 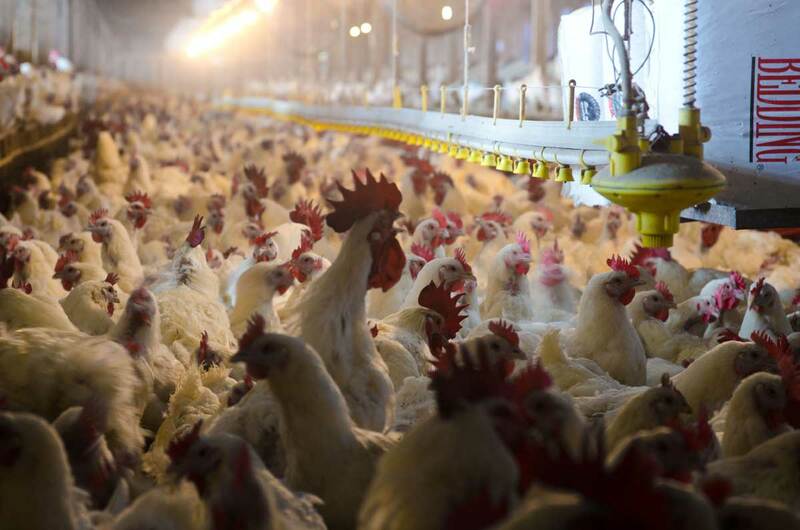 To serve the plant, an estimated 300 to 400 poultry barns would be built within a 40 to 50-mile radius. A feed mill would be built as part of the complex to provide those farmers with feed. Grain farmers in the area would enjoy a small premium to supply the feed mill. Everybody wins, right? Within two weeks, the deal was on hold as outraged grassroots citizen opposition gained steam as they learned more about the proposed plant, the way Tyson and other poultry companies do business, and the way it would change their community and the surrounding counties. Unanswered questions about wastewater and other infrastructure demands, impact on water quality, and the collateral damage or demands that would be placed on the community raised red flags. Officials working with Tyson had signed non-disclosure agreements, which meant hardly anyone local knew about the plans in the making. This behind closed doors negotiations with their quality of life spurred even the most conservative residents to protest. 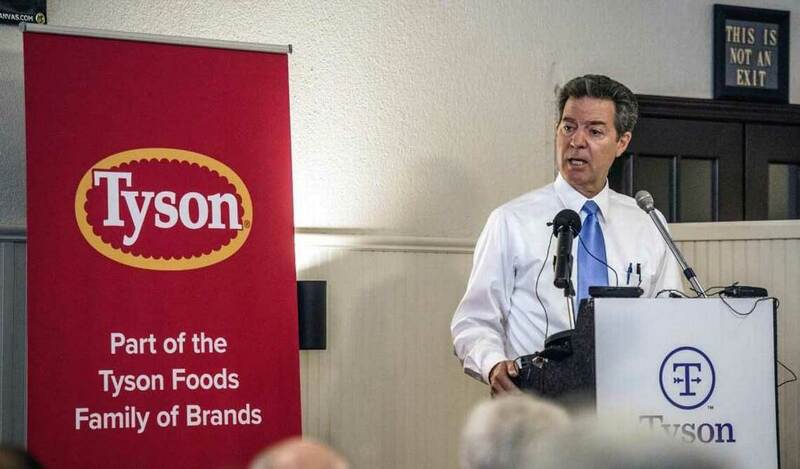 Tyson officials revealed the $320 million proposal on September 5, joined by Kansas Gov. Sam Brownback and local politicians. While Leavenworth County and area citizens may feel they won the battle, no one should get too comfortable. The plant at Tonganoxie is on hold, but Tyson expressed in its open Letter to Tonganoxie in mid-September that it is still interested in Leavenworth County and other Kansas communities, as well as other states. 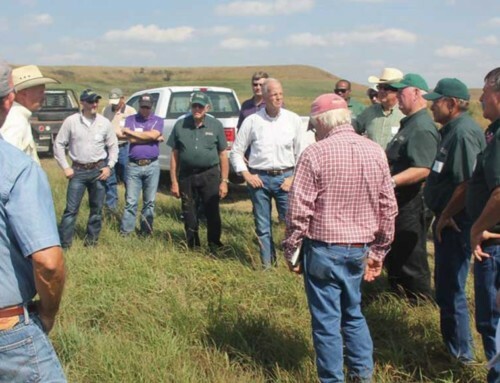 On September 29, the Kansas Department of Agriculture announced that at least 32 Kansas communities have expressed interest in hosting the plant. The plant appears to be still in play. 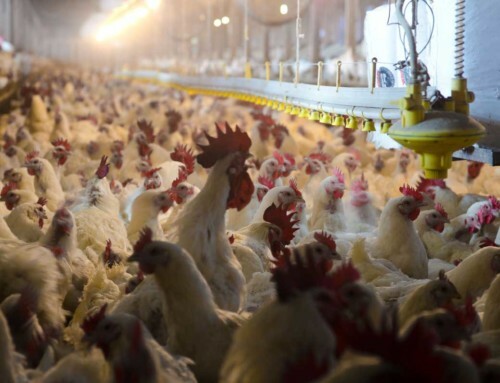 But KRC, and others who have been studying the impacts of these plants around the country, cautions communities and counties to learn as much as they can about Tyson and other poultry plants and contract poultry production before they make their decisions. The fate of Leavenworth County is not clear. The County Commissioner vote rescinding the industrial bonds to Tyson could also change. The vote to rescind was 2 to 1, with Commissioner Clyde Graeber announcing his decision to retire citing health reasons, leaving a swing vote open. Leavenworth County Republican Party officials will vote on his replacement on October 5. Leavenworth and surrounding county citizens, who felt blind sided by the announcement, deserve credit for their swift and strong reaction. They quickly organized to come out against the plant in numbers not seen in opposition to such plants in other areas of the country. As intended in a democracy, people called their county officials to task for the secrecy of their discussions with Tyson. At a special county commission meeting and other public forums, people voiced concerns about the waste and wastewater from the plant, increased traffic on their roads, what the influx of workers and families would do to the local schools, where would they live, and the pollution potential from the new poultry farms. More than 2000 people filled a city park on Friday evening September 15 at a public forum called by the area’s state legislators. By the end of the evening, after listening to residents voice their concerns and questions, the legislators had changed their neutral stance to opposition. The following Monday, Leavenworth County Commissioners rescinded their earlier resolution authorizing nearly $500 million in industrial revenue bonds for the project in a 2 to 1 vote. Tyson’s open letter to Tonganoxie and the county put the project on hold followed by the next day. News stories out of Nebraska and industry media refer to this as a “mis-step” or “fumble” by Kansas. Their loss is our gain, seemed to be the reaction. But how is asking the right questions about how this impacts your community a mis-step? Questions about the environmental impact, and the influx of people to schools and housing and roads deserve answers, and involvement of the people most impacted. 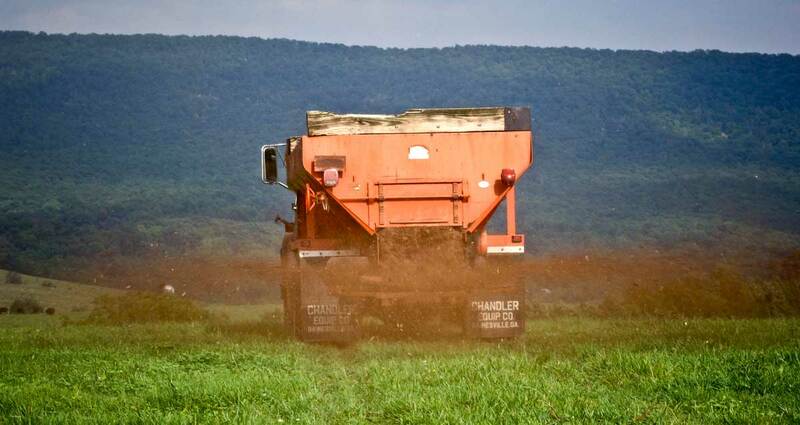 Farmers spread poultry litter in their fields. Photo by USDA. But the questions go far beyond infrastructure and the environment. While it sounds like a case of “Not In My Backyard” sentiment, it is really part of a bigger question about what kind of agriculture and food system we want and need. “Next It Might be You” is a more accurate statement. The industrial chicken model is the height of the prevalent concentration, vertical integration, and contract branding system that turns farmers into serfs on their own farms and leads to high turnover of workers in an industry not known for taking care of its workers. There is no protection for contract poultry producers who sign on eagerly and often leave the industry broken. Promises of jobs and individual farmer opportunities are seductive to communities, but the track record for workers and farmers –and the headaches given to communities—all too often do not meet the dream. Communities and farmers who think hosting a poultry plant on this scale is a great move for the future, should be sure to learn all they can from other communities and farmers who have already lived the “dream”. KRC has used the following questions since its inception. Of any suggested technology, industry recommendation, or policy question we must ask: Who pays? Who benefits? And what are the untold or uncounted costs? There was no misstep or fumble in Leavenworth County and northeast Kansas – just smart citizens asking the right questions. Building an alternative food and farming system is part of the answer.